What is the Overwatch Halloween Terror UI bug? A new bug is hitting Overwatch players following the recent Halloween Terror update, and it's a doozy. Updating online-focused multiplayer games entails a fair bit of risky business, particularly for games that require a high degree of compatibility and precision. Sometimes things just wind up broken, even under good intentions, and that seems to be the case with Overwatch's latest update. Following the recent Halloween Terror update, players are reporting a frustrating new bug that overlays the main menu UI over the in-game action, and not only is there no clear answer as to how the bug occurs, there's no indication of how to fix it, either. 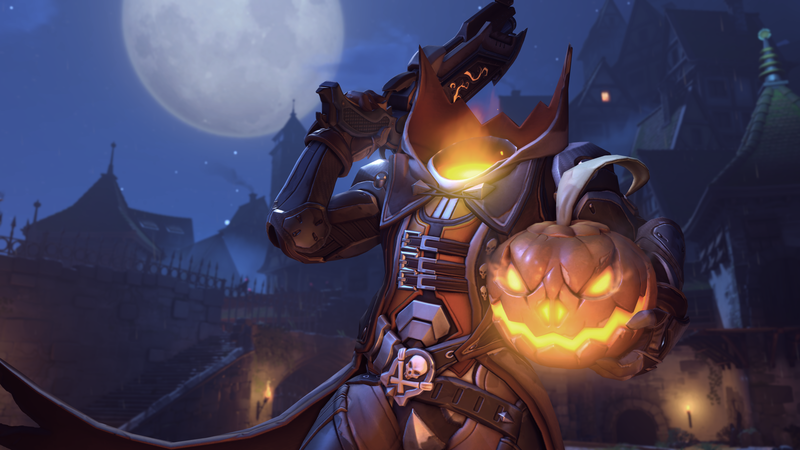 The Overwatch Halloween Terror update was launched just recently as part of the developer's Halloween Terror 2018 event, which sees the game playing host to a number of spooky Halloween-themed activities as well as a major update to the hero Torbjorn. Alongside these, the patch included several tweaks and adjustments as well as nine new colorbind options. However, it also seems to have introduced a new bug that doesn't technically break the game, but does manage to completely ruin the user experience. Essentially, the main menu UI stays on-screen after the match begins, and may even remain through matches that follow. While the menu is being erroneously displayed, the user cannot move or fight, and will eventually be kicked from the server for appearing to be AFK. The new UI bug seems to be fairly widespread — reports have surfaced all around the internet from players showing the bug in action or claiming that it cost themselves or their teammates matches. Even worse, there doesn't seem to be any sort of clear-cut trigger condition: some players report that it appears to pop up following match disconnects, while other players say it has something to do with opening loot crates while waiting to find a match. 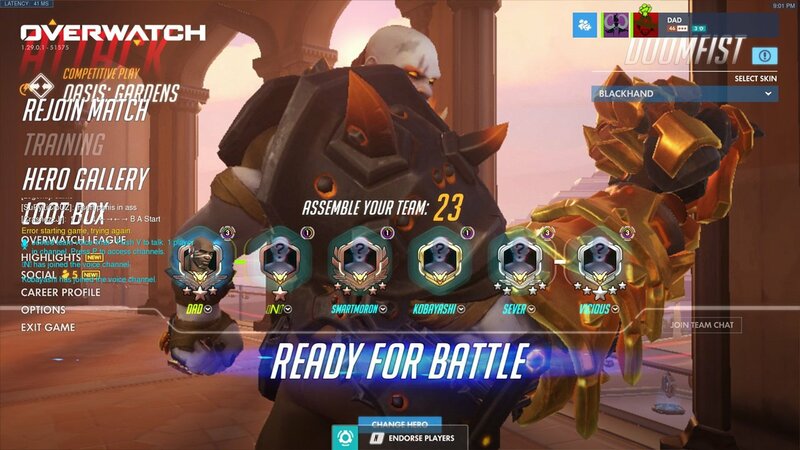 Fortunately, there does at least seem to be one workaround: posted by reddit user Kocq over on the Overwatch subreddit, the fix suggests players experiencing the UI bug should head over the Highlights section and play any highlight they have. This simple solution will reportedly get rid of the menu UI overlay, allowing matches to be played normally as before. For now, it seems that Blizzard doesn't have any official fix for the Overwatch Halloween Terror UI and HUD bug. Fortunately, being developed by Blizzard implies some of the best support to be found in the modern games industry, and there's little doubt that a fix is being developed this very moment.